A new honor society chapter at SUNY Cortland honors Abraham Lincoln DeMond, its first African-American graduate by naming the society after him. 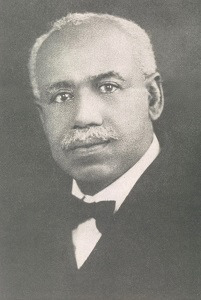 After graduating Central New York – SUNY Cortland’s previous title – DeMond became a politically active pastor, and even delivered an address on African-American rights from the Dexter Avenue Baptist Church in Montgomery, Alabama, the same church where Dr.Martin Luther King Jr. helped kick start the civil rights movement over 50 years later, according to a SUNY Cortland release. Beginning in the spring, Cortland students will have the opportunity to join the Abraham Lincoln DeMond Chapter of the W.E.B. Du Bois Honor Society, launched by the Institutional Equity and Inclusion Office. The W.E.B. Du Bois Honor Society is a national organization dedicated to the scholarship and leadership recognition of undergraduates, especially African-American students. Students interested in joining the honor society is required to have a 3.30 GPA or above and be enrolled full-time at the institution. “It is fitting that we name the chapter after Abraham Lincoln DeMond, an individual who defied and shattered a number of stereotypes as the first African American to study and graduate from Cortland more than two centuries ago,” said chief diversity officer James Felton. “It is our hope that the honor society will not only remind, but also inspire underrepresented students that despite the obstacles and challenges, they too can achieve the dream of obtaining a college education,” Felton added.